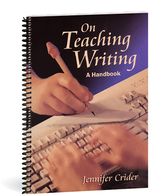 Here are insights into the minds of young writers, encouragement and how-tos for teachers, suggestions for presenting written work, story starter ideas, and much more. Correlates with our Sunrise Language Arts, but may be used independently. 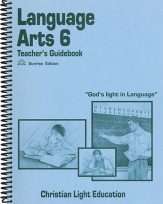 This teacher's guide includes instructions for each section of each lesson. 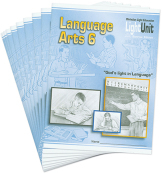 Appendices give alternate LightUnit tests, a detailed scope and sequence, spelling word lists, and suggestions for teaching creative writing and penmanship. Item: T72065 Pages: 167 Size: 8.25 x 11 Binding: Spiral-bound Publisher: Christian Light Publications, Inc. 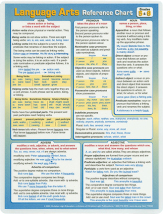 This attractive, durable chart contains a wealth of grammar information at a glance. Covers part of speech, shows a basic outline, includes examples of sentence diagramming, punctuation, and capitalization. 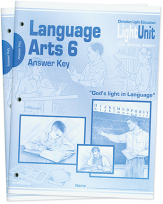 Item: S72054 Size: 8 1/4 x 10 7/8 Binding: Laminated Publisher: Christian Light Publications, Inc.
Students having trouble with a concept? A fast worker need busywork? 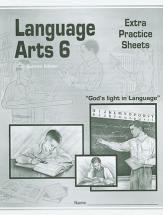 These extra practice sheets give specific review for new or difficult concepts.